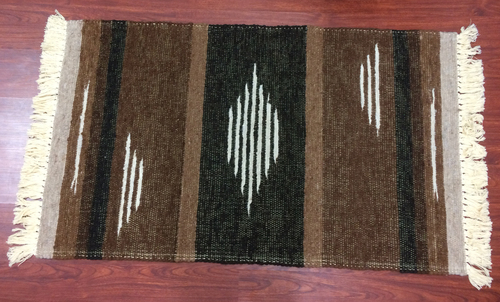 Individual sizes may vary, as all our rugs are handmade. 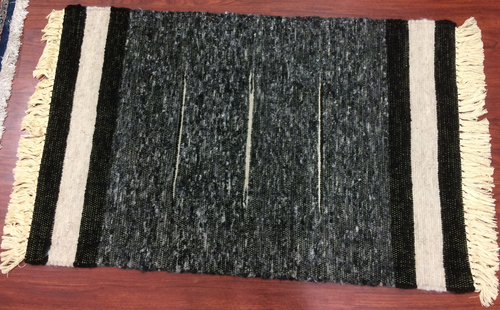 Alpaca Country Estates has created this masterpiece especially for you from the fleece of our alpacas. Just feel the softness! We began our alpaca ranch in 2006 with six Huacaya alpacas on two acres. We have grown to a herd of hundreds on a large acreage in Terrebonne, Oregon raising our own hay, planning every breeding decision for an outcome of soft, fine fleece having lots of dense fiber on those "teddy bear" critters with their pleasing personalities. 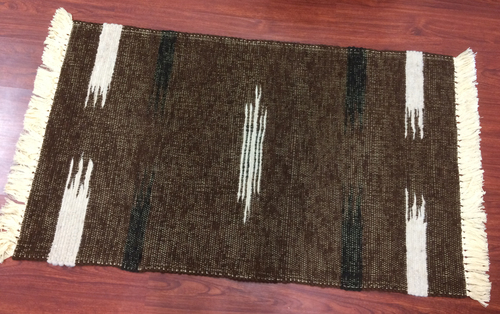 Through our fiber company, Magical Strands, we design and create apparel, rugs and blankets all made in the U.S.A.. We select alpacas of every color and use their natural tones/shades instead of dyeing for caramel, grey, chestnut, nutmeg and black. From this magnificent fiber, we create luscious, soft yarn, so we are able to bring to you one of the finest products of the North-West.